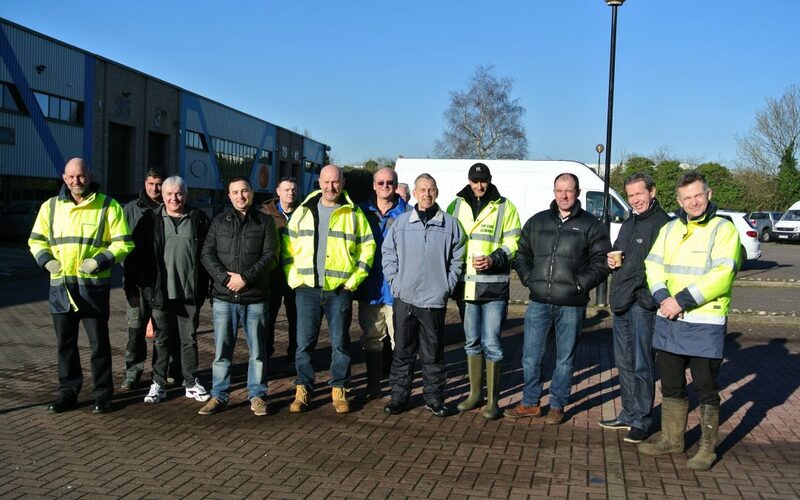 Running for over eight years, Spinaclean’s training days have got off to a flying start in 2017. Previously held at a hotel location, our first training session in our brand new headquarters in Northampton has received 100% positive feedback. Based just outside the M1, our new building caters specifically for the day with a large comfortable training room and a designated demonstration area outside allowing trainees to see our products in action and try equipment first hand. The day has been designed to meet all the requirements needed to set up an all over external cleaning business. Our products include the world’s most powerful gutter-cleaning machine, the SkyVac, to the powerful SlipStream Pro20, making paving cleaning ‘easy’. Not only will we teach you how to be successful in running your own business, from marketing to top cleaning tips, but we will also provide full back up and support to help you get your business off the ground, this is what makes us our training days unique. Our sessions cater specifically for all levels and requirements, from window cleaners seeking a highly effective add-on business to business professionals looking for a work-life balance and a new change. Dreaming of being your own boss? Our next training day is being held on 21st July, with limited spaces available. Click herefor full agenda on the day.